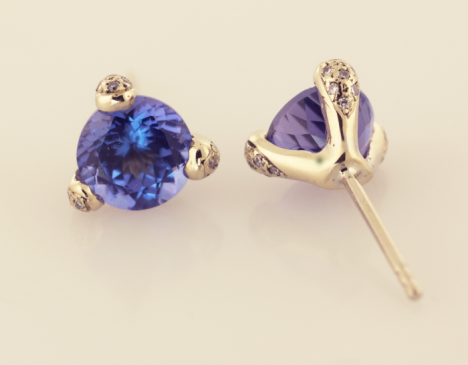 Beautiful and simple tanzanite earrings. 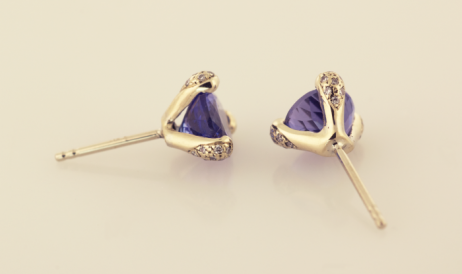 Tanzanite and diamond earrings in 18KT yellow gold. Two tanzanites each weighing 1.56cts. and micro pavédiamonds on the settings.